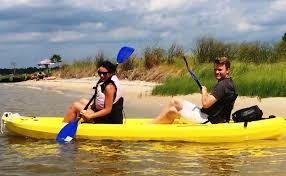 The Talbot Young Professionals invites you to PaddleJam with us on Saturday, June 15th! 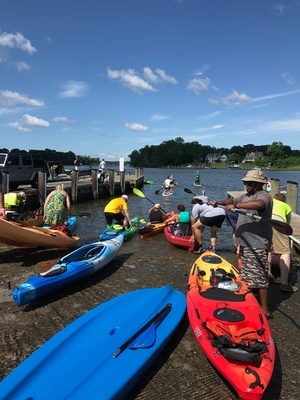 Paddlers, launch your kayaks, canoes and paddleboards from the Easton Point Marina for a leisurely, 6-mile out-and-back style paddle on the beautiful Tred Avon River on Maryland's Eastern Shore. Collect poker cards and compete for valuable prizes! 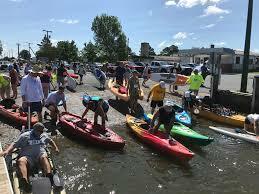 7pm or when last paddler finishes, Paddle Poker prizes are awarded! food trucks, great vendors, cold beer and hot steamed crabs, PLUS fun lawn party games like corn hole, kan-jam, giant Jenga and bucket pong. See you there! 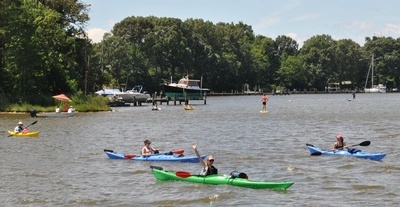 Take the Helm program, an after-school boat-building program for Talbot County High School students. *FREE t-shirt guaranteed to those registered by May 29th.